Raumfahrt+Astronomie-Blog von CENAP - Blog: Astronomie - Will Astronomers Be Ready for the Next ‘Oumuamua? Last fall an unexpected out-of-towner blazed a faint but memorable trail through the solar system. ‘Oumuamua, as it came to be called, had dive-bombed the sun from parts unknown, and was witnessed whizzing past Earth on an orbital path that would take it back out to interstellar space. That offered astronomers a brief, first-ever chance to study an object from another star. As a singular event, ‘Oumuamua was gratifyingly weird: likely made of rock or metal, reddish in color, not gassy like a comet and stretched into an extremely elongated shape. On the off chance that the visitor was a probe with artificial origins, scientists with the Breakthrough Listen project and the SETI Institute even checked to see whether it was broadcasting radio waves. (It wasn’t.) Soon the speeding object had slipped beyond the reach of even our best telescopes. The encounter with ‘Oumuamua, although brief, was just the iceberg-tip of an entirely new emerging subfield of astronomy: the study of interstellar objects as a population—something theorists previously could only dream about. The lessons from ‘Oumuamua are now forcing planetary scientists and astronomers to reconsider the solar system with new eyes, and presaging the arrival of our next visitor. For Carlos de la Fuente Marcos at the Complutense University of Madrid and his colleagues, ‘Oumuamua’s passing inspired an immediate question. Its orbital path was hyperbolic, along a curve that sweeps out from the solar system to infinity instead of closing in on itself like an ellipse. Aside from interstellar visitors, local comets and asteroids can also escape the solar system by being bent onto hyperbolic paths by gravitational tweaks from the sun or the planets. Astronomers could rule out a “local” origin for ‘Oumuamua, which was flying too fast and unaligned with the solar system’s planets to have come from anywhere besides interstellar space. Marcos wondered, though, whether other ‘Oumuamua-like objects might lurk within the full set of hyperbolic objects astronomers have observed in the past. In a letter published February 6 in Monthly Notices of the Royal Astronomical Society, Marcos and his collaborators considered 339 known hyperbolic objects, using a computer model to rewind their orbits 100,000 years into the past. Of the fastest incoming objects, they found a cluster from the celestial vicinity of the constellation Gemini; these, they posited, are perhaps locals kicked inward from the outer solar system by a close encounter some 70,000 years ago with nearby Scholz’s star. But Marcos’s team also identified eight possible interstellar interlopers with inbound velocities that seem to stand apart, including 2013’s high-profile Comet ISON. Like ‘Oumuamua, though, these candidates all dashed into and then out of inner solar system, putting them out of telescope range quickly—and none were studied as objects of potential interstellar origin. “The candidates cited in our work belong to the past, and as such they may not be observed in the future,” Marcos says. The hope is to inspire other searches in past astronomical surveys to further scrutinize the orbital paths of these candidates or perhaps to find more. “This is exactly the kind of flurry of activity and discussion ‘Oumuamua has started, which is very scientifically valuable and exciting” says Greg Laughlin, an astrophysicist at Yale University who has authored multiple papers on the sun’s first interstellar visitor. 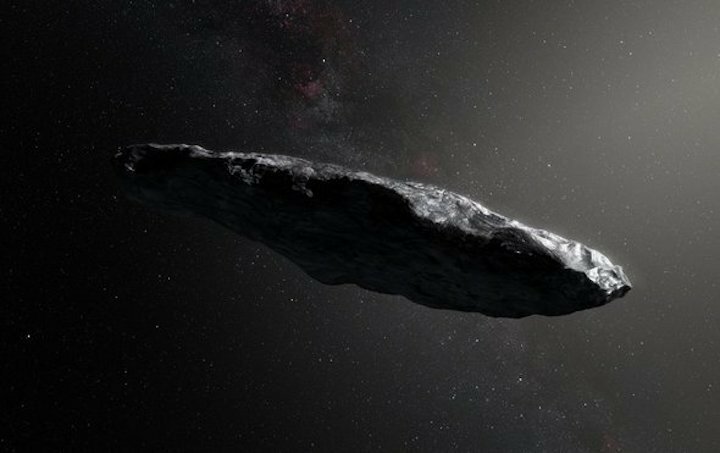 On another front, in a recent study Harvard–Smithsonian Center for Astrophysics astronomers Manasvi Lingam and Avi Loeb showed ‘Oumuamua’s visit implies not just other interstellar immigrants passing through but also that thousands are already here, having settled down to stay. Of all the projectiles hitting the solar system from across the Milky Way, some should be slowed and captured by gravitational interactions between the sun and Jupiter. This effect, Lingam and Loeb say, makes the solar system a sort of “fishing net” for catching denizens of the interstellar depths, raising the possibility objects from other stars may have collided with Earth at some point in the past, potentially shaping the emergence and evolution of life. What’s more, other stars can be fishing nets, too—the neighboring binary system of Alpha Centauri, they calculate, could even snag entire rocky planets from the void, perhaps allowing life-bearing Earth-like worlds to cross between stars. But behind these estimates lurks a much more basic question: How many ‘Oumuamuas are out there? Prior to last fall astronomers offered pessimistic guesses for the total population of interstellar asteroids and comets. These estimates held that spotting just one might require the Large Synoptic Survey Telescope (LSST), an observatory with an unprecedentedly panoramic view that should begin scouring the skies in the early 2020s. But the discovery of ‘Oumuamua with a less-sensitive observatory called Pan-STARRS implies these objects are much more common. At any given time, the latest estimates suggest, the sphere of space within Earth’s orbit around the sun contains about one such interstellar guest. When ‘Oumuamua showed up, she says, real-time communication on Twitter and other social networks glued the globe’s astronomers together, allowing them to rapidly acquire complementary data sets. But there might be another, more intimate way to learn about future ‘Oumuamuas. In a draft study now under peer review Laughlin and Yale doctoral student Darryl Seligman explored another possibility: smashing our next visitor with a probe. “It ties really well into things that are being done anyway,” Laughlin says.In 2005 part of NASA’s Deep Impact mission plowed into Comet Tempel 1, ejecting some of the object’s innards into a debris cloud astronomers could study. Right now, NASA’s OSIRIS-REx mission is en route to Asteroid Bennu to retrieve a sample for return to Earth. And rocket technology is flourishing, as evidenced by SpaceX’s recent launch of the Falcon Heavy. If Pan-STARRS or LSST could spot an interloper and a mission like Deep Impact was ready and waiting to set off, something similar would be possible.